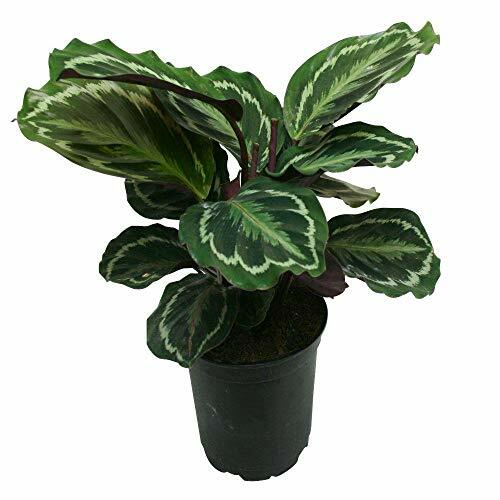 Calathea is a very bold, decorative, air-purifying house plant! Calathea Medallion has beautiful, brightly colored, upright, oval leaves with deep burgundy undersides. Calatheas will do well in a container garden, terrarium or as a houseplant as it prefers low light and is easy to care for. Safe and non-toxic for pets. If you have any questions about this product by AMERICAN PLANT EXCHANGE, contact us by completing and submitting the form below. If you are looking for a specif part number, please include it with your message. AMERICAN PLANT EXCHANGE Areca Palm Indoor/Outdoor Live, 1 Gallon, Clean Air of Toxins! AMERICAN PLANT EXCHANGE Dracena Marginata Madagascar Dragon Tree Indoor/Outdoor Live, 1 Gallon, Cleans Air of Toxins! AMERICAN PLANT EXCHANGE Berry Allusion Nephthytis Indoor/Outdoor Live, 1 Gallon, Worry Free Air Purifier!